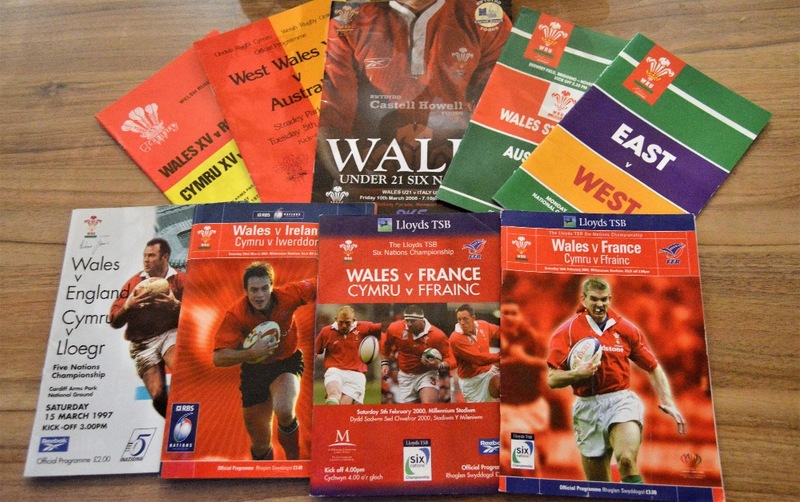 9x Wales Rugby Programme Selection (H): Wales v Romania 1979, England 1997 (last at old National Stadium), France 2000 & 2002, and Ireland 2003. 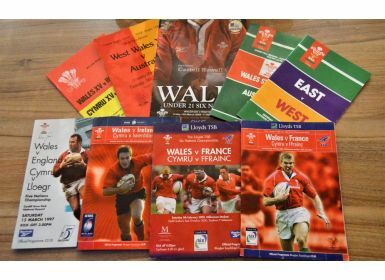 Also East v West match, 1992 (all at Cardiff), West Wales v Australia (Llanelli) 1982, Wales Students v Australia, Howley on bench! (Bridgend) 1992; and Wales U21s v Italy, Jamie Roberts on bench! (Newport) 2006. Mostly good.